To become the leading provider of oil and gas to the country by increasing exploration and production both domestically and internationally, utilizing all options including strategic alliances. To continuously realign ourselves to meet the expectations of our stakeholders through best management practices, the use of latest technology, and innovation for sustainable growth, while being socially responsible. Prior to OGDCL's emergence, exploration activities in the country were carried out by Pakistan Petroleum Ltd. (PPL) and Pakistan Oilfields Ltd. (POL). In 1952, PPL discovered a giant gas field at Sui in Balochistan. This discovery generated immense interest in exploration and five major foreign oil companies entered into concession agreements with the Government. During the 1950s, these companies carried out extensive geological and geophysical surveys and drilled 47 exploratory wells. As a result, a few small gas fields were discovered. Despite these gas discoveries, exploration activity after having reached its peak in mid-1950s, declined in the late fifties. Private Companies whose main objective was to earn profit were not interested in developing the gas discoveries especially when infrastructure and demand for gas was non-existent. With exploration activity at its lowest ebb several foreign exploration contracting companies terminated their operation and either reduced or relinquished land holdings in 1961..
To revive exploration in the energy sector the Government of Pakistan signed a long-term loan Agreement on 04 March 1961 with the USSR, whereby Pakistan received 27 million Rubles to finance equipment and services of Soviet experts for exploration. Pursuant to the Agreement, OGDC was created under an Ordinance dated 20th September 1961. The Corporation was charged with responsibility to undertake a well thought out and systematic exploratory programme and to plan and promote Pakistan's oil and gas prospects. 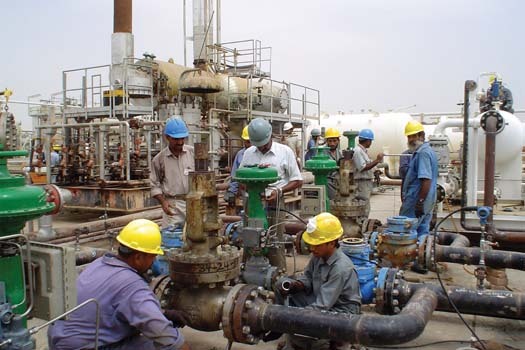 As an instrument of policy in the oil and gas sector, the Corporation followed the Government instructions in matters of exploration and development. The day to day management was however, vested in a five-member Board of Directors appointed by the Government. In the initial stages the financial resources were arranged by the GOP as the OGDC lacked the ways and means to raise the risk capital. The first 10 to 15 years were devoted to development of manpower and building of infrastructure to undertake much larger exploration programmes. A number of donor agencies such as the World Bank, Canadian International Development Agency (CIDA) and the Asian Development Bank provided the impetus through assistance for major development projects in the form of loans and grants. OGDC's concerted efforts were very successful as they resulted in a number of major oil and gas discoveries between 1968 and 1982. Toot oil field was discovered in 1968 which paved the way for further exploratory work in the North. During the period 1970-75, the Company reformed the strategy for updating its equipment base and undertook a very aggressive work programme. This resulted in discovery of a number of oil and gas fields in the eighties, thus giving the Company a measure of financial independence. 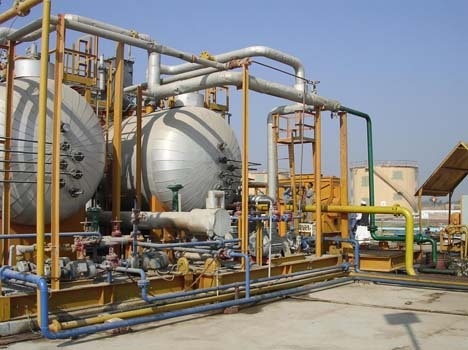 These include the Thora, Sono, Lashari, Bobi, Tando Alam & Dhodak oil/condensate fields and Pirkoh, Uch, Loti, Nandpur and Panjpir gas fields which are commercial discoveries that testify to the professional capabilities of the Corporation. 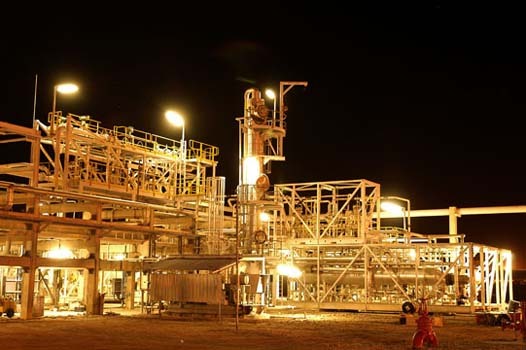 Noting the Company's success, due to major oil and gas discoveries in the eighties, the Government in July 1989, off-loaded the Company from the Federal Budget and allowed it to manage its activities with self generated funds. The financial year 1989-90, was OGDC's first year of self-financing. It was a great challenge for OGDC. The obvious initial target during the first year of self-financing was to generate sufficient resources to maintain the momentum of exploration and development at a pace envisaged in the Public Sector Development Programme (PSDP) as well as to meet its debt servicing obligations. OGDC not only generated enough internal funds to meet its debt obligations but also invested enough resources in exploration and development to increase the country's reserves and production. Prior to 23 October 1997, OGDCL was a statutory Corporation, and was known as OGDC (Oil & Gas Development Corporation). It was incorporated as a Public Limited Company w.e.f. 23 October 1997 and is now known as OGDCL (Oil & Gas Development Company Ltd). Government of Pakistan disinvested part of its shareholding in the Company in 2003. Initially 2.5% of the equity with an additional green-shoe option upto 2.5% of equity was offered to the general public. The said Offer received an overwhelming response from the general public and was recorded as a landmark transaction in the history of Pakistan’s capital markets. In December 2006, the Government of Pakistan divested a further 10% of its holding in the company. The Company is now listed on the London Stock Exchange since December 06, 2006.